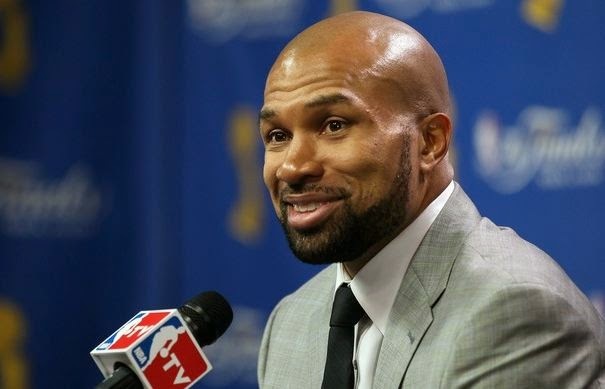 @DerekFIsher has agreed to a five-year, $25 million deal to become coach of the New York Knicks, league sources told Yahoo Sports. After Knicks president Phil Jackson lost his top coaching candidate, Steve Kerr, to the Golden State Warriors, Fisher became Jackson’s primary target and the 18-year NBA veteran will retire to take the job. Fisher, 39, had been seeking the same five-year commitment the Knicks had given Jackson to be president, sources told Yahoo Sports. offered Kerr to become its coach. Fisher’s coaching staff is expected to include Bill Cartwright and Kurt Rambis, sources told Yahoo Sports. All share longtime coaching or playing experience with Jackson, and Fisher plans to run Jackson's famed triangle offense with the Knicks. The Knicks' support system, centered on Jackson's mentorship role, is one of the most attractive features of the job to Fisher. Fisher played parts of 13 seasons with the Lakers, winning five championships under Jackson.